In response to the clamor, the undergraduate committee at UC Berkeley that selects speakers voted to rescind the invitation to Maher. But the administration announced the invitation will stand. The controversy resonates historically at Berkeley, as the university celebrates the 50th anniversary of the birth of the free speech movement on its campus. “I guess they don’t teach irony in college any more,” quipped Maher. Maher does not have a “right” to speak at Berkeley’s ceremony, and this is not a First Amendment issue. But the campaign to remove him as the speaker at the graduation event is thoroughly censorious and antithetical to the free exchange of ideas. Trying to silence certain views is especially problematic at universities, which were established to engage with a variety of ideas. 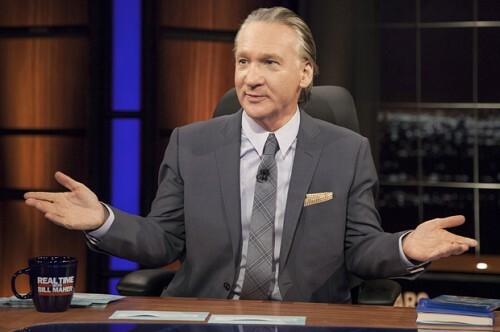 The attempt to oust Maher is part of a regressive anti-intellectual trend, as in the past year alone there have been a wave of speakers – including Condoleezza Rice, Christine Lagarde, Ayann Hirsi Ali and George Will - who have had invitations rescinded or who decided to decline following protests. The slogan used by UC Berkeley campaign against Maher is “Free Speech, Not Hate Speech”. This formulation is a contradiction in terms: if you seek to prevent certain speech – say on the grounds of being “hateful” – then you do not support free speech. Alongside 1984’s “Freedom is Slavery” we can now add “Censorship is Free Speech”. Marium Navid, co-author of the petition against Maher, claims “It’s not a matter of freedom of speech, it’s a matter of campus climate.” Her petition presents Maher as a threat to safety: “We cannot invite an individual who himself perpetuates a dangerous learning environment”; “his dangerous rhetoric has found its way into campus communities.” In other words, safety trumps freedom of expression. But it is not like Maher is calling for violence; he brings no real “danger” to Berkeley. The safety Navid and others seek is to avoid being exposed to different or challenging ideas. The underlying assumption is that students are fragile and easily harmed by a speaker’s words. The recent academic trend of slapping “trigger warnings” on course materials so that students might avoid the “trauma” that is expected to follow from reading them shows that the university is being re-organized around the belief that the typical student is a pathetic basketcase. “Too many students are marginalized by [Maher’s] remarks,” states the petition. By inviting him, the university “would not be supporting these historically marginalizing communities.” Here is a special plea to make references to certain ethnic or religious minorities off-limits. But it’s real distortion to claim that the only way to express solidarity with certain disadvantaged people is to censor others. In the past, radicals like Berkeley’s Free Speech Movement rightly saw free speech as a precondition for winning hearts and minds for social advancement. Even if you find Maher’s remarks to be bigoted towards Muslims, clamping down on such views does not combat them. In fact, they might seem to prove his point: Maher argues that Islam is especially intolerant, and here we have a Muslim group at UC Berkeley responding to him by calling for…intolerance. Moreover, while Maher is criticized for “generalizing” about Muslims, his opponents seem to also view Muslims in a very monolithic way – as uniformly offended by Maher’s remarks, and as uniformly in need of protection, lest their feelings be hurt. Many of those opposed to Maher argue that the commencement ceremony is an exceptional stage unlike other settings for discussions on campus. Navid says Maher “doesn’t deserve to be elevated to the position of commencement speaker.” Ibrahim Hooper of the Council on American-Islamic Relations (CAIR) argues that by having Maher address graduates, Berkeley is giving “a tacit endorsement of his hate-filled views”. But a university that invites a speaker to commencement does not de facto “endorse” that speaker's views. Universities are not meant to have party lines. And based on the variety of orators and opinions expressed at commencements (as well as the variable quality – they are too often platitudes about life experiences), there do not seem to be many colleges demanding ideological purity at these events. But a party line is exactly what the commencement disinviters are hoping to see; they are effectively asking for universities to politically vet speakers and ensure they do not say anything that they disagree with. In an interview with Al Jazeera, Navid said that Maher is “free to come to campus, and he’s free to come to speak in a public forum in a debate, but not in this specific forum of the commencement speech.” It’s breath-taking that Navid and her fellow campaigners believe they can decree where and when Maher is allowed to speak. When Rula Jebreal, a Palestinian journalist, challenged Maher on his HBO show on Friday night, she picked up on this idea that the graduation ceremony was not an adequate discussion forum, and thus free speech did not apply: “Commencement speech is a platform that doesn’t give an opportunity for questions, it doesn’t give an opportunity for pushback, for even a debate. It’s a monologue, not a dialogue.” But there is no requirement for all campus events to have two or more speakers, or to be set up as roundtable debates. Students have plenty of other opportunities to comment before and after events, and via various media and at different venues. In a debate with CAIR’s Hooper over the Maher's invite, Greg Lukianoff of the Foundation for Individual Rights in Education (FIRE) highlighted the impulse to censor that drives what his group calls "disinvitation season": “My concern is that students and faculty members go first to ‘let’s not have this person speak on campus’… We really should be teaching people to at least hear people out or [listen to] what they’re going to say before you try to get them kicked off campus.” Indeed, it seems lost on people that it is one thing to protest and express disagreement with a speaker, and another thing to protest and call for someone to be barred from appearing at all. It makes you wonder what the Free Speech Movement activists of the 1960s would make of the reflex to reject Maher. At that time the loudest voices were calling for free speech; today the most prominent are against it. Then college free speech advocates squared off against administrators; today it seems there is as much intolerance, if not more, to be found among the student body and faculty. Yet while things have undoubtedly changed, my sense is that many are not happy with the censorious atmosphere on campus. Now is the time for students to make use of their freedom of speech to make themselves heard – as the saying goes, use it or lose it.